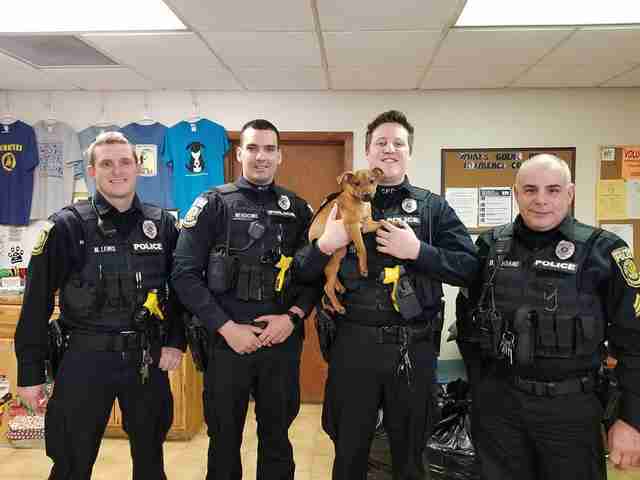 In early February, police officers in New Castle, Pennsylvania, were responding to a reported burglary at an apartment when they were met with a heartbreaking discovery. 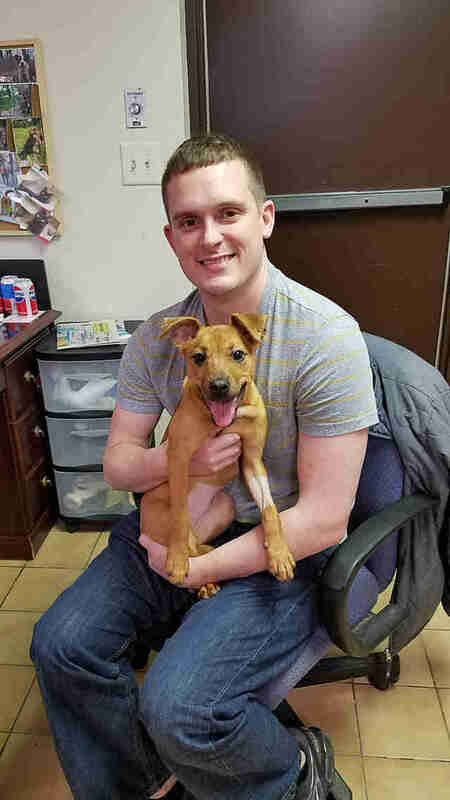 A tiny puppy had been locked inside an upstairs bedroom — and she was so starved that every bone in her body was visible. 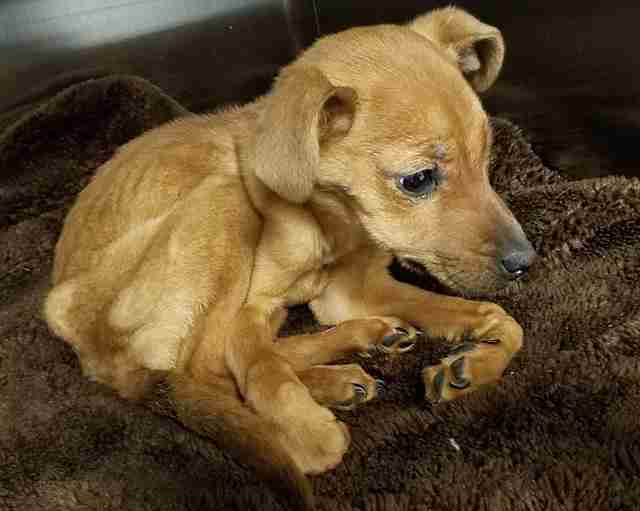 Severely anemic and emaciated, the 10-week-old puppy was so weak that she couldn’t stand or lift her head. In addition, she was suffering from a staph infection. Her mom or other siblings were nowhere to be found — and rescuers estimated she had been locked in the room by herself for at least three weeks. They decided to name her Miranda. Thanks to around-the-clock feedings, she slowly gained enough strength to move around and stand. 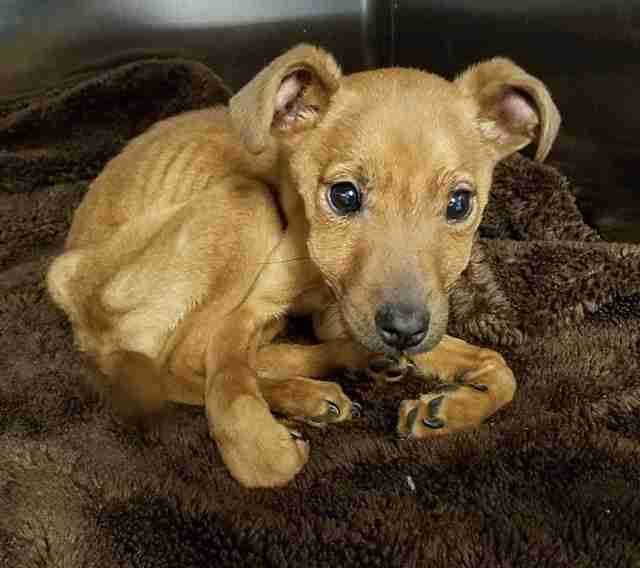 After a week of regular food, water and medicine, Miranda had miraculously doubled in weight. It was clear she was determined to live — and people from across the country were supporting her fight. 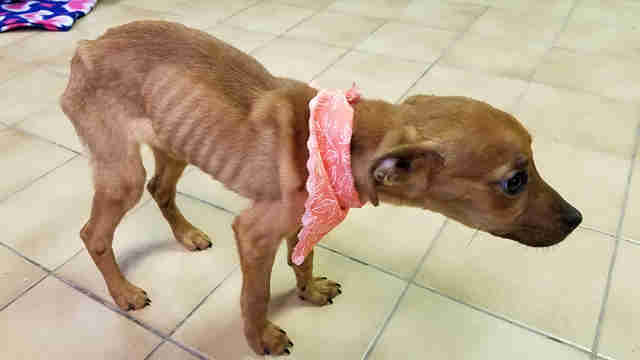 Throughout the next few weeks, Miranda continued putting on weight and rescuers were amazed at how well she was doing. 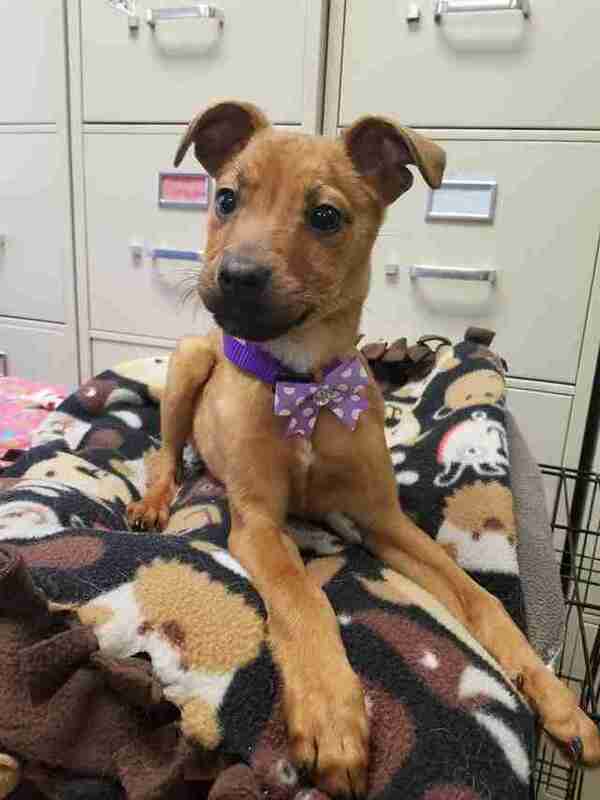 The skeletal-looking puppy looked completely different, and she was running and playing like any other sweet puppy her age would. 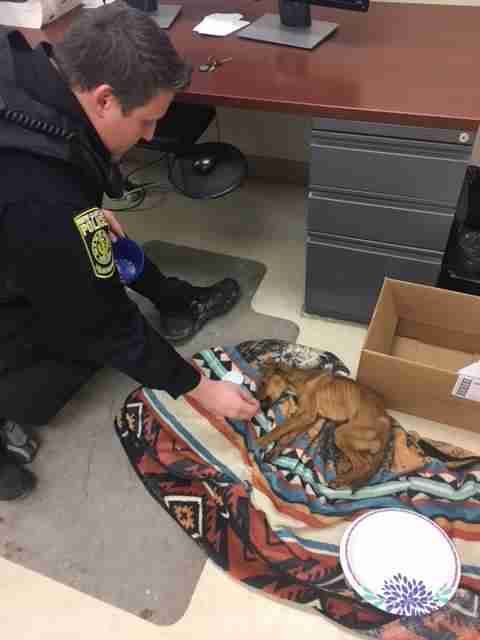 The four police officers who found her returned to the shelter for regular visits throughout her recovery. 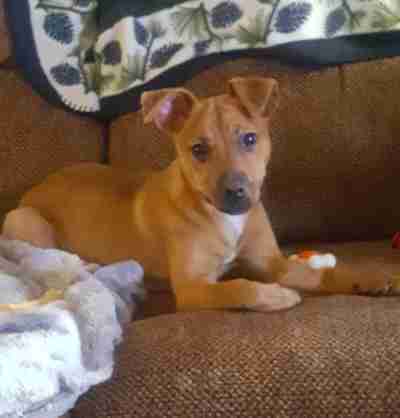 Although adoption inquiries flooded the rescue’s Facebook page, the group had other plans. After a bit of discussion about who would adopt her, they agreed that Officer Mark Lewis would be Miranda’s new dad. 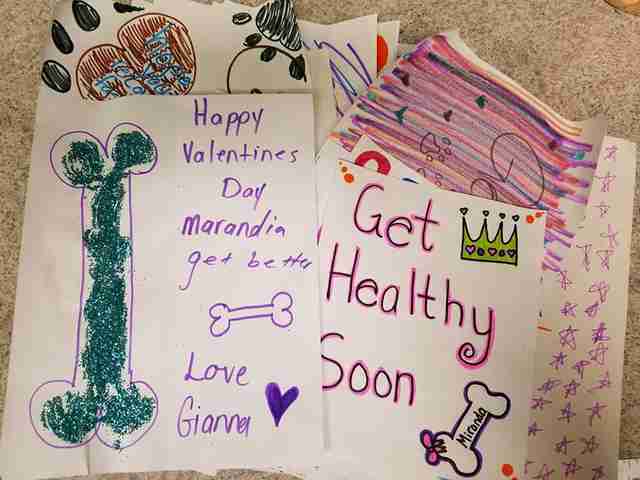 And luckily, this week, Miranda was finally healthy enough to go home. After everything she’s been through, it’s clear that Miranda is so thankful she was given a chance at life. Fortunately, an investigation into Miranda’s former owner is ongoing and a court date has been scheduled. For Druschel, justice will be the best final touch on Miranda’s happy ending. 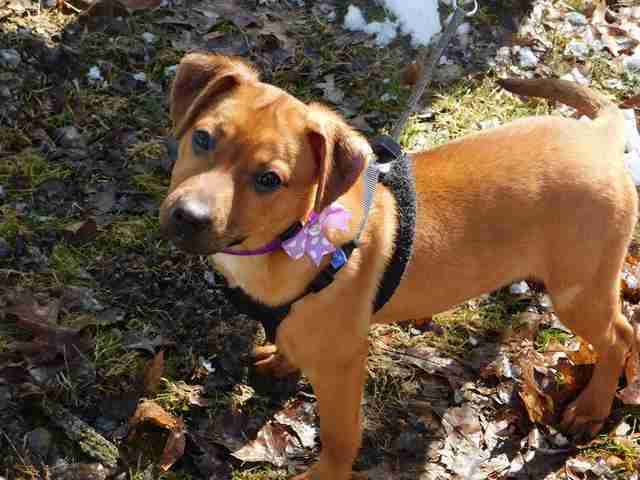 To celebrate Miranda’s adoption, you can make a donation to Lawrence County Humane Society.